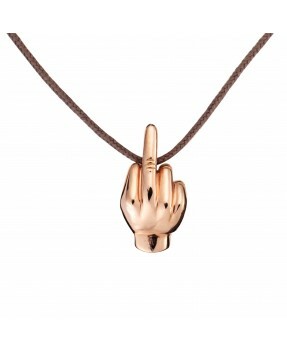 The Fingersymbols team helps you in the customisation of your Pink gold Up Yours Pendant in its Paris workshop. You will receive your pendant mounted on a brown string. 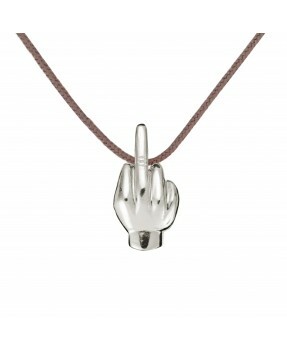 Discover our Up Yours Pendant in massive silver, handmade in our Paris workshop. You will receive your pendant mounted on a taupe-grey string. 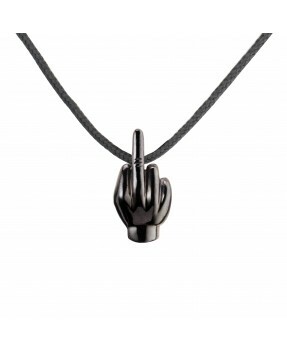 Designed in our Paris workshop, the Blackene silver Up Yours Pendant is a jewel with a lot of character, which you will love for its originality. You will receive your pendant mounted on a grey string. To preserve your blackened silver jewel, it's recommended to avoid contact with chlorine, bleach or other corrosive products.